THE brother of Las Vegas shooter Stephen Paddock said the 64-year-old "snapped" before carrying out the worst mass shooting in US history. Eric Paddock told Daily Mail that "something happened" to make his brother kill more than 50 and injure more than 500 at the open-air Route 91 festival. Mr Paddock said there was "absolutely no indication he (Stephen) could do something like this", adding his brother had no political or religious affiliations. "He was just a guy. 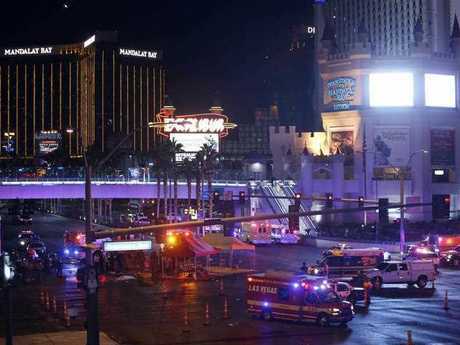 Something happened, he snapped or something," Mr Paddock said, speaking from his home in Orlando, Florida. "We know absolutely nothing, this is just, we are dumbfounded." He said his family had "absolutely no idea" about Stephen's motives, adding that he didn't speak with his brother often. "Our family is OK, we're sitting in here in our house hoping that everyone doesn't attack us," Mr Paddock said. "My mother is 90 years old, lives down the street from me, we're just completely dumbfounded. You can imagine how this is affected her." He continued: "There's no rhyme or reason here, it makes no sense ... He has no political affiliation, no religious affiliation, as far as we know. This wasn't a terror attack." He said his brother, who lived in a remote retirement village in Mesquite, Nevada, was just a regular guy who liked gambling. Mr Paddock also said his brother moved to Las Vegas in 2015 to escape Florida's humidity and because he enjoys playing video poker. He told the Orlando Sentinel his brother had recently bought their mother a new walker. 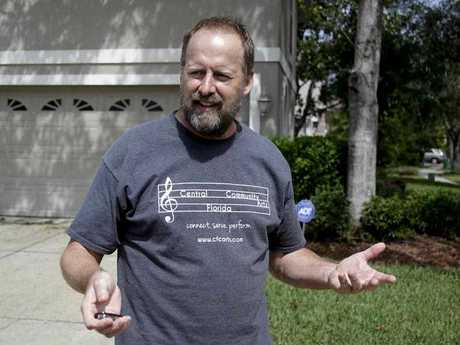 Former neighbours of Stephen Paddock told the Orlando Sentinel he was always friendly, and described himself as a world traveller and "professional gambler." Sharon Judy, said he once showed her a picture of himself winning a $20,000 slot-machine jackpot. Authorities said more than 400 people were being treated in Las Vegas hospitals and confirmed there was a crowd of more than 22,000 at the music festival. They also revealed the shooter had hoarded weapons in his hotel room, including 10 rifles. Clark County Sheriff Joseph Lombardo said two on-duty Las Vegas Metropolitan Police Department officers were injured in the attack. 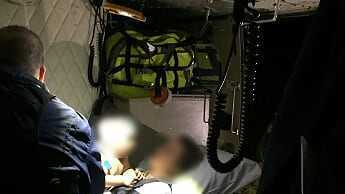 One was in a stable condition after surgery, and the other sustained minor injuries. 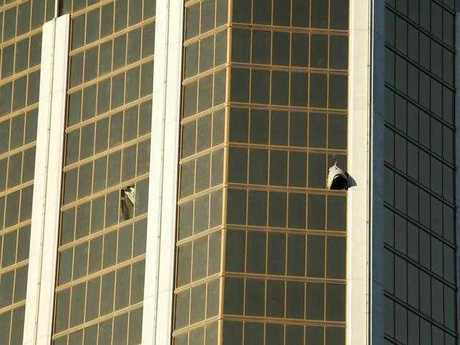 Authorities also said last night the believed the shooter, Paddock, had killed himself before they entered the room. He lived in an upscale retirement community, and is believed to have worked as an accountant or auditor. Paddock didn't have a criminal record but was "known to local authorities" in Las Vegas.